Children and staff at Hereward Primary School, Loughton, held a special day last week to raise over £500 for a charity supporting children with genetic disorders. The fundraising effort was part of the national 'Jeans for Genes Day'. Children and staff were encouraged to wear denim and bring in a donation to school to support the worthy cause. The school's Charity Co-ordinator, Janice Whitehead, said: "We are so delighted that everyone got involved and raised such a staggering amount. 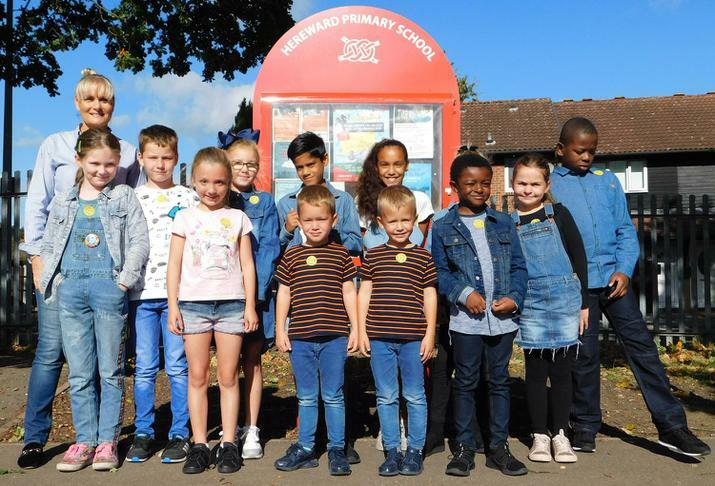 The children really enjoyed coming to school wearing their denim and taking part in this fundraising day."